Barbie is Giving Gifts To Moms In May! Barbie is all about glam, make-up and FUN! 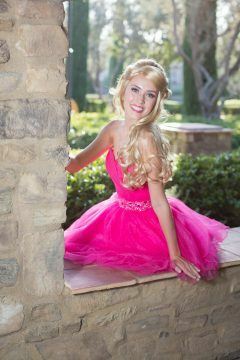 This May we want princesses everyone to share something Barbie loves with Moms and Grandmas everywhere! Every girl loves nail polish and making her digits look divine! 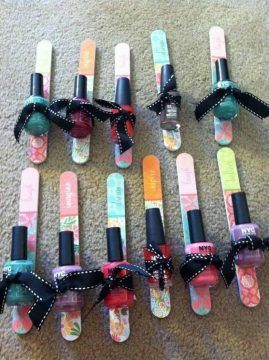 We have a fun little craft for girly girls everywhere to lift the spirits of Moms that maybe don’t have the money and ability to get their nails done. Barbie herself approves – but clearly her favorite color is pink. This month we are making nail polish and file gifts with cute little bows to women who need some extra hugs. Homeless, shelters, nursing homes, a neighbor that misses her children, anyone really who needs something to bring a smile to her face. To find out how to make these tokens of love this May for Mother’s Day or any other day – check out ISP’s giving back challenge here. Want to join us around town spreading kindness and fun everywhere we go? Visit theinfinitesmile.com and come out and play!